Remember back in January when HP announced it would bring a tabletop 3-D printer to market, at a place and time to be named later? That place and time just became a quite a bit less ambiguous. 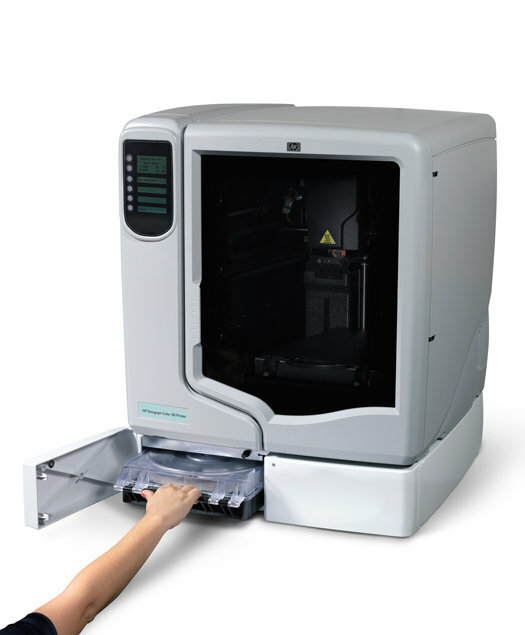 Today Stratasys, the company that is manufacturing the device for HP, announced that it has shipped the first units of the HP-branded Designjet 3D fabrication machines, which will be available in May -- but only in Europe. 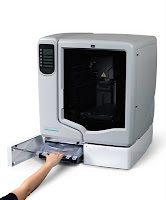 The Designjet 3D is based on Stratasys's Fused Deposition Modeling (FDM) technology, which turns three-dimensional CAD drawings into tangible prototypes by extruding partially molten ABS plastic in extremely fine layers one atop the other, forming the entire 3-D model in a single piece from the ground up. Designjet 3D will print in ivory-colored plastic only while Designjet Color 3D will print single-color parts in up to eight different colors (we're not sure why you can't just put a different hue of ABS plastic in the Designjet 3D). Wonder how fast they'll print an object. Or if that plastic's paintable. Showing my gaming roots, I immediately thought of someone using one of these to make custom gaming figurines of MMORPG characters. They could do a deal with the game companies to offer custom figurines of a player's character, painted according to screenshots of the character. Other than that, if these catch on everything from plastic spoons to disposable medical equipment is about to have a price drop of epic proportions. And thus more lost jobs as the factories suddenly can no longer pay their workers. Novelty and design turn-over at the speed of thought. If these catch on, it will be a design-it-yourself world -- but it will also be a world in several different kinds of economic and environmental crisis. If it's all cheap enough to be disposable, what are we going to do with the mountains of garbage? I don't know whether to look forward to these or fear them.